The Bulgarian state has spent BGN 39 M for the organization of its October 2011 presidential and municipal elections, according to official accounts released by the Bulgarian Ministry of Finance. This is with 50% more than the BGN 26 M estimate, used by Minister of Finance Simeon Djankov as a cost-saving argument to hold "2 in 1" elections. 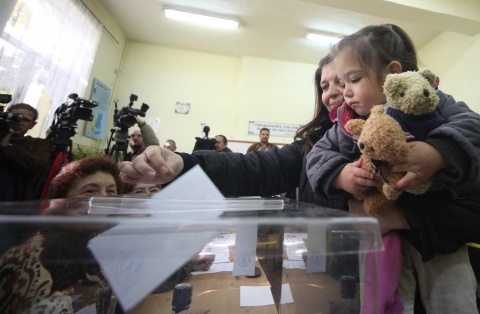 Minister Djankov had argued that should Bulgaria hold separate polls for president and local authorities, it must pay BGN 34 M.
Later, the official amount allotted for the elections was revised to BGN 35 M, but the actual amounts spent have turned out to be BGN 4 M more than that. According to the official Finance Ministry account, revealed at the request of Bulgarian news website Mediapool.bg, half of that overspent money was used by Bulgaria's Ministry of Interior. The Interior Ministry has commented that this was necessitated by excessive working hours of policemen, after the election day had to be extended in many areas, writes Mediapool. The Bulgarian Ministry of Foreign Affairs has also used some 20% more funds than initially allowed for voting abroad. Bulgaria's Civil Registration Office (GRAO) and Ministry of Defense, on the other hand, used less money than they were given, thus saving some BGN 23,000 total.